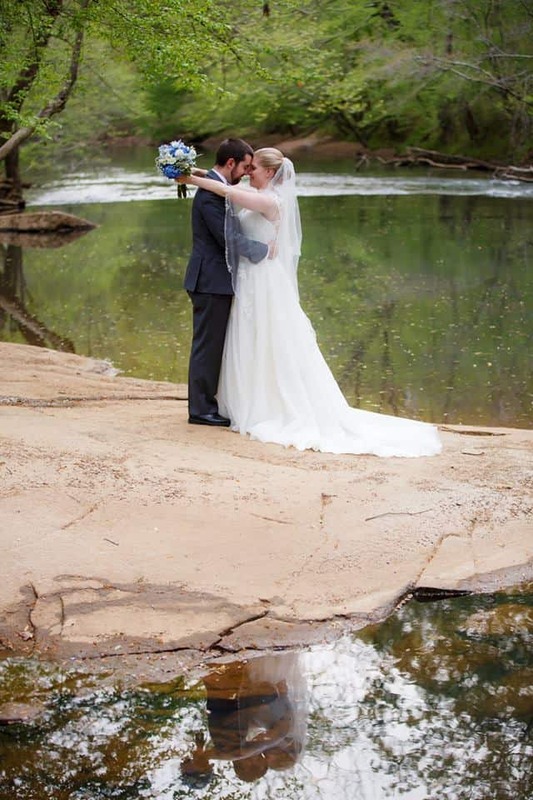 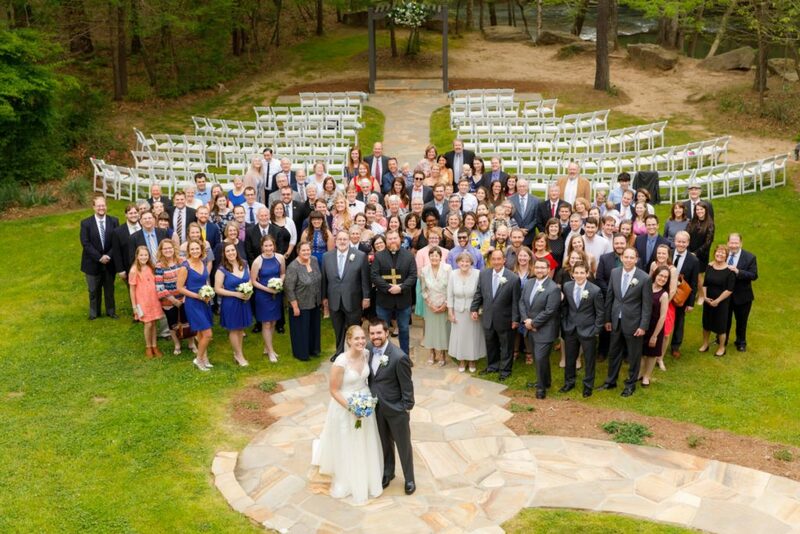 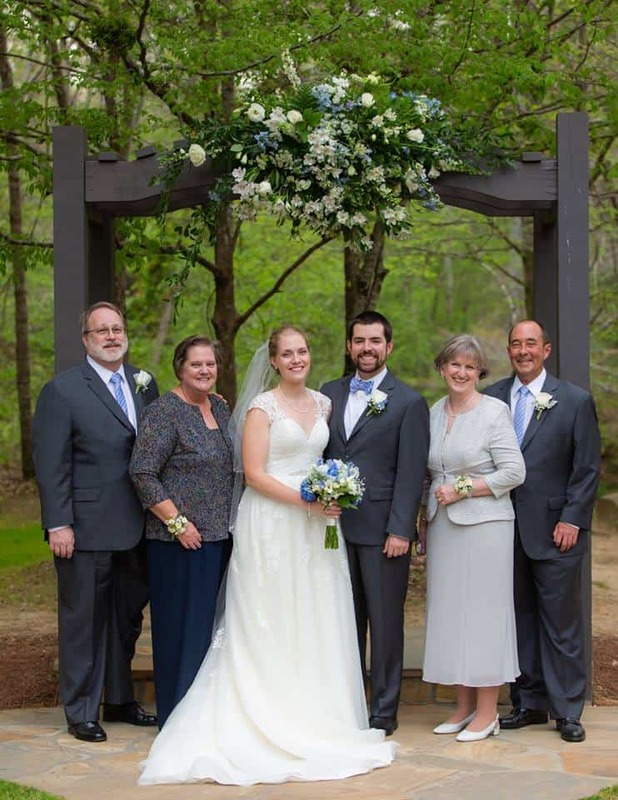 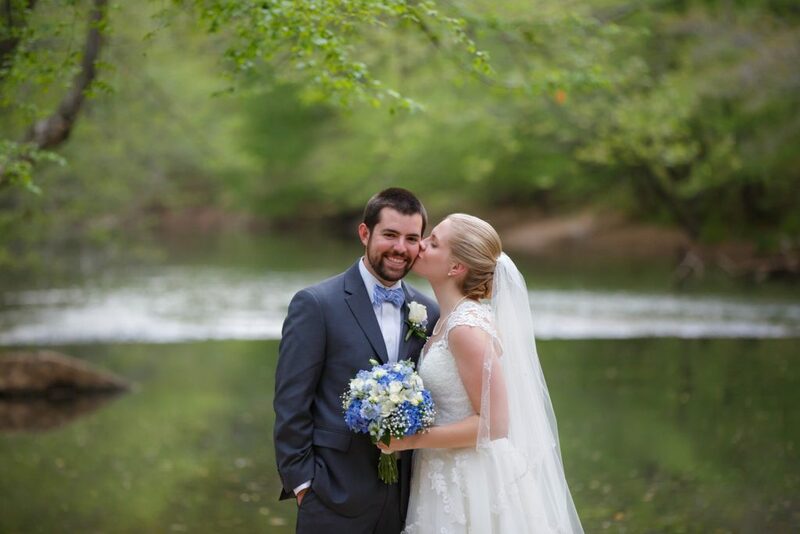 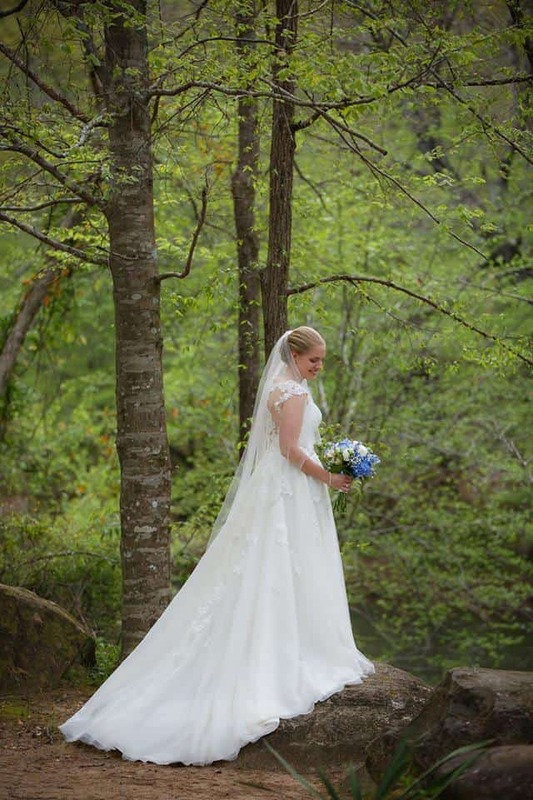 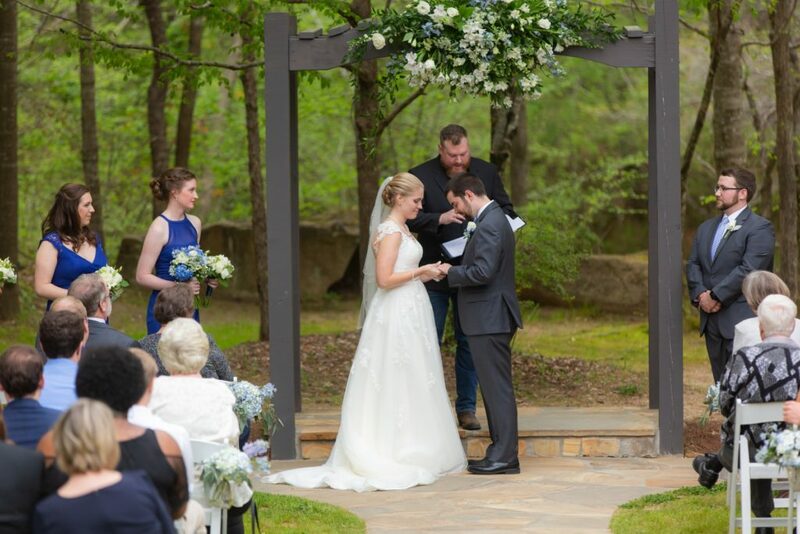 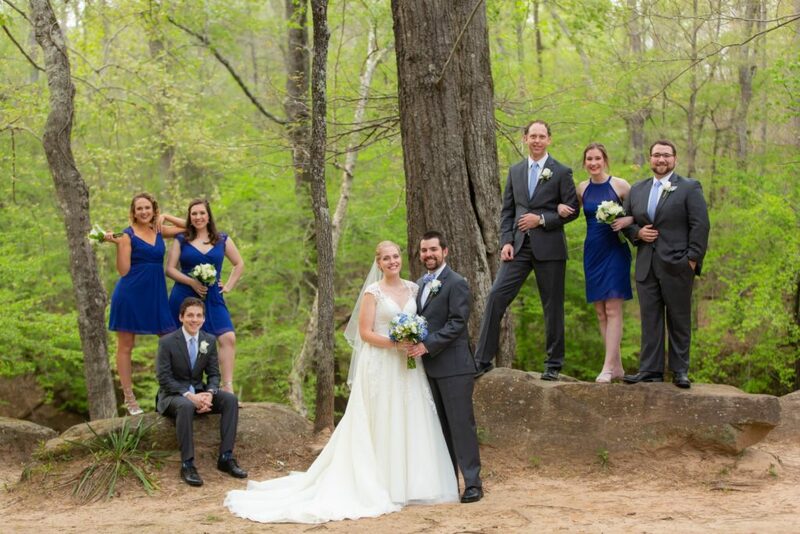 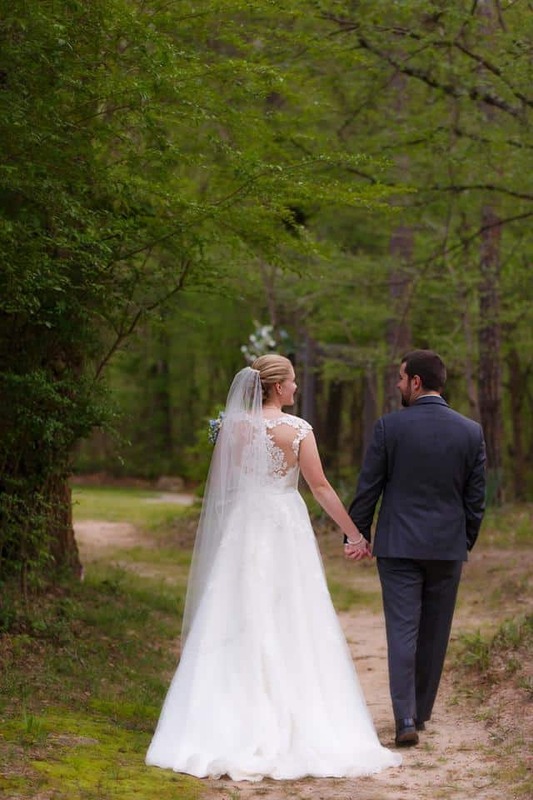 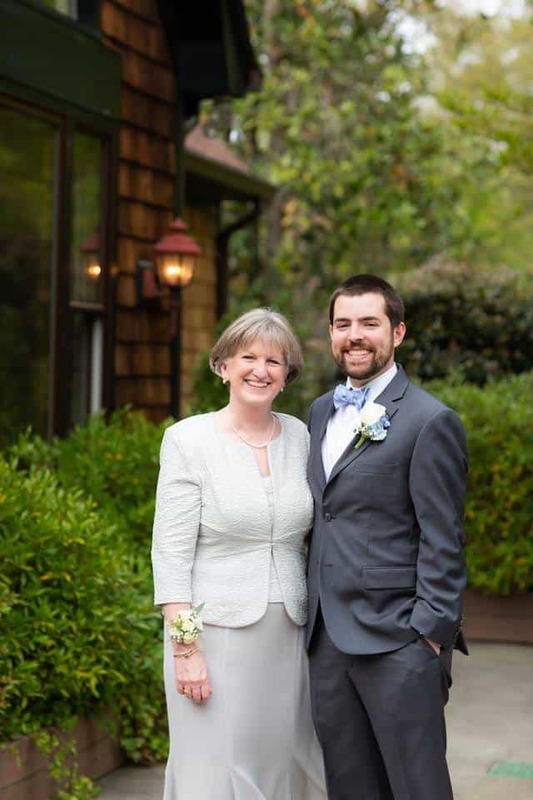 Anna and Jonathan were wed on a beautiful April evening down by the Yellow River. 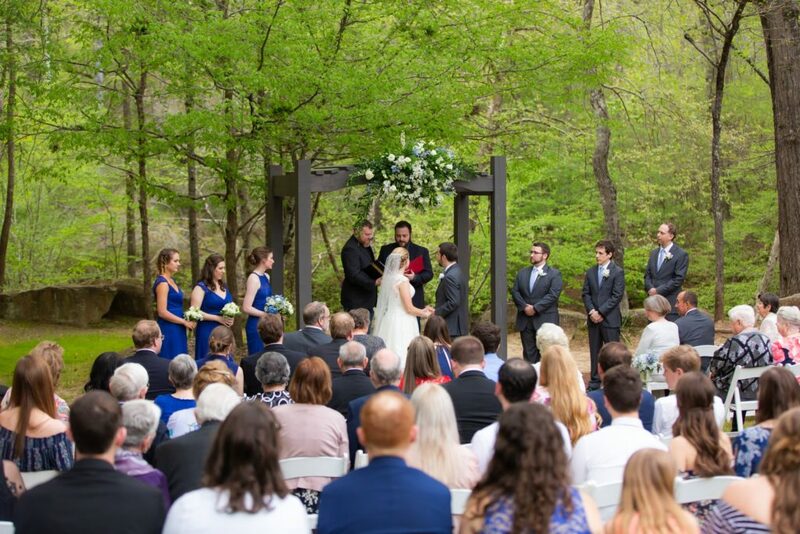 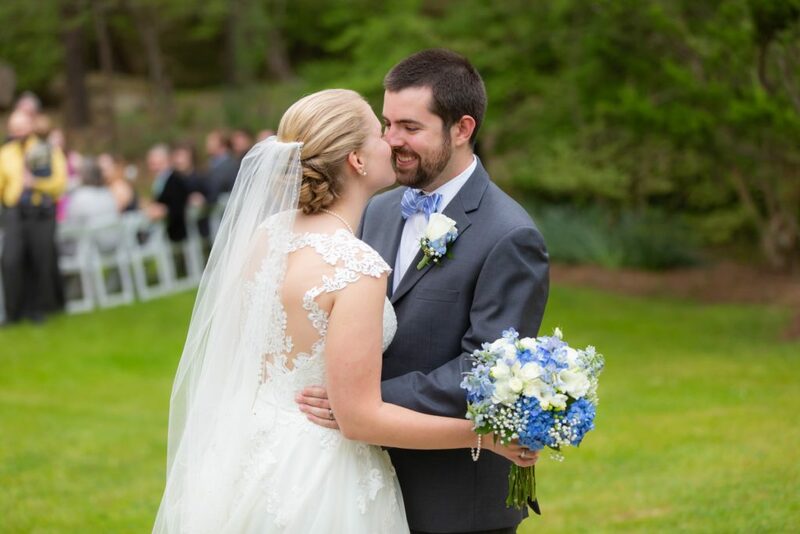 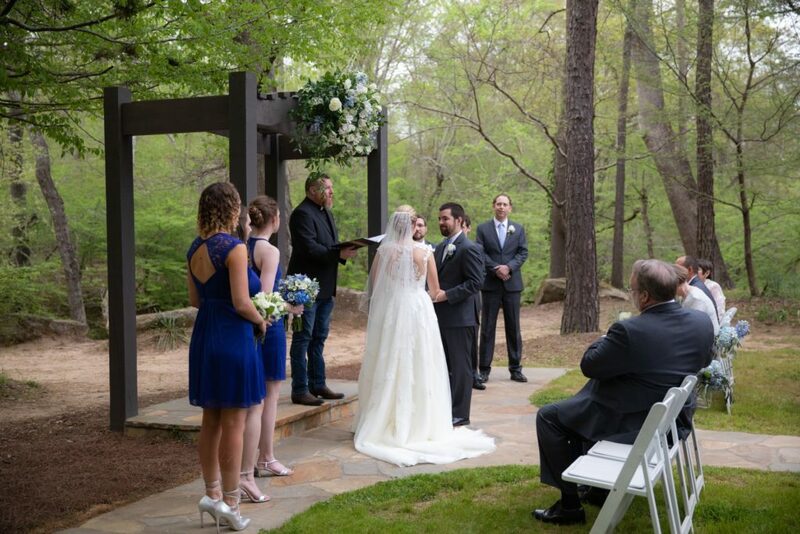 The fresh greenery and new blooms around the grounds provided a perfectly lush backdrop while they said their I-do’s. 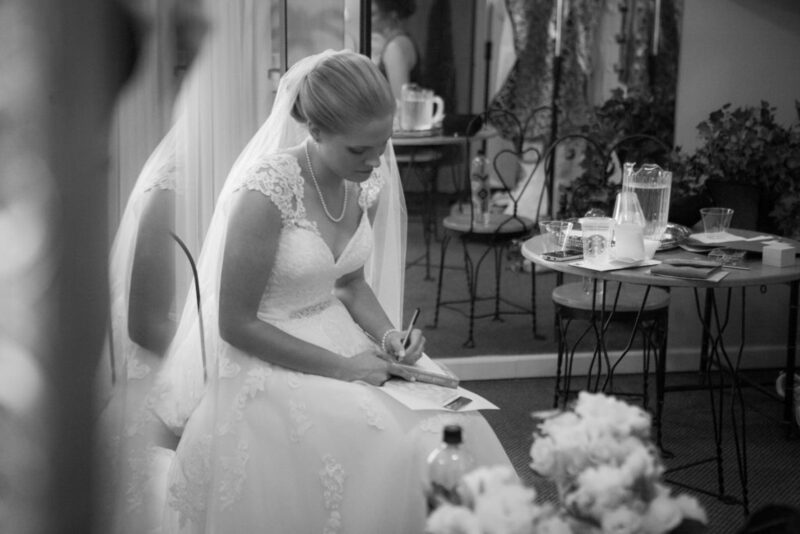 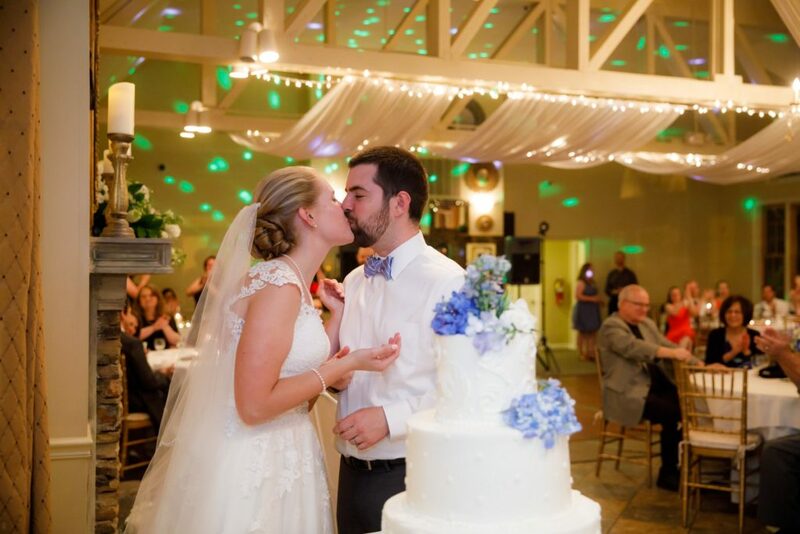 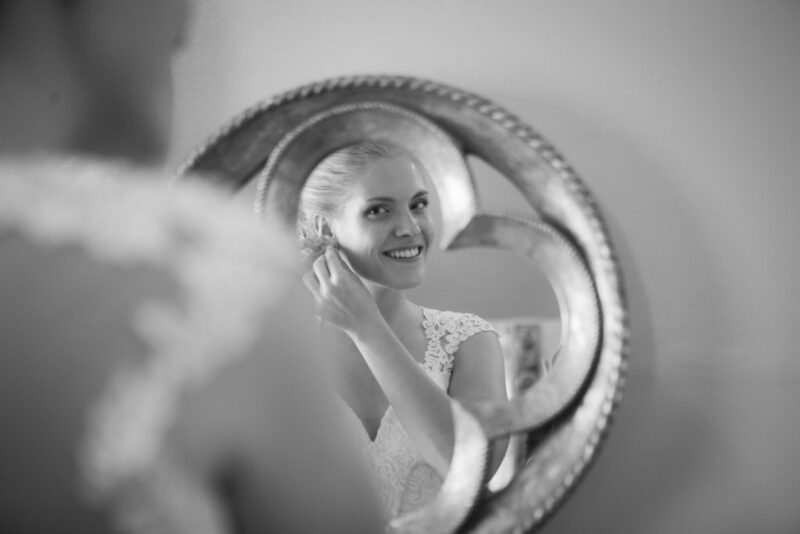 The classic details of their wedding made for a very elegant affair. 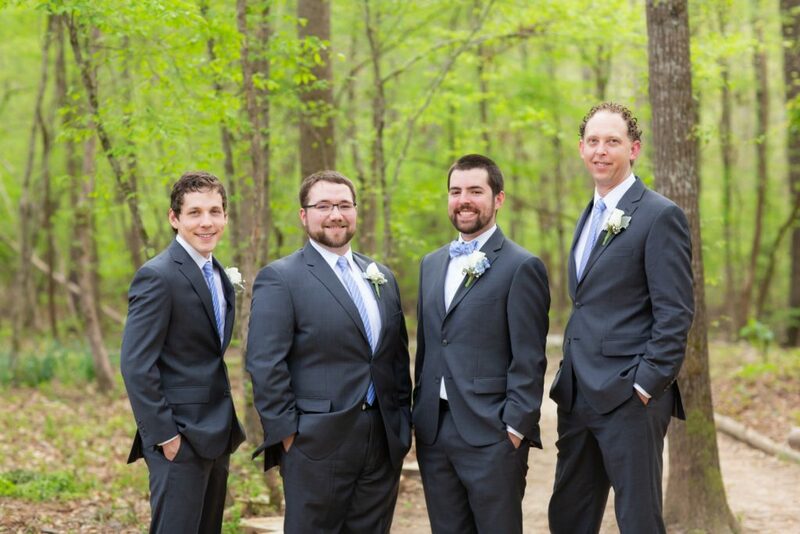 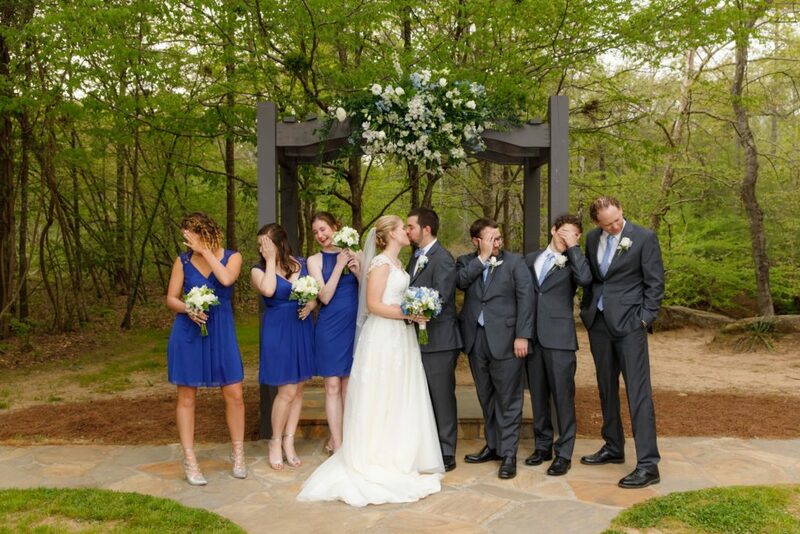 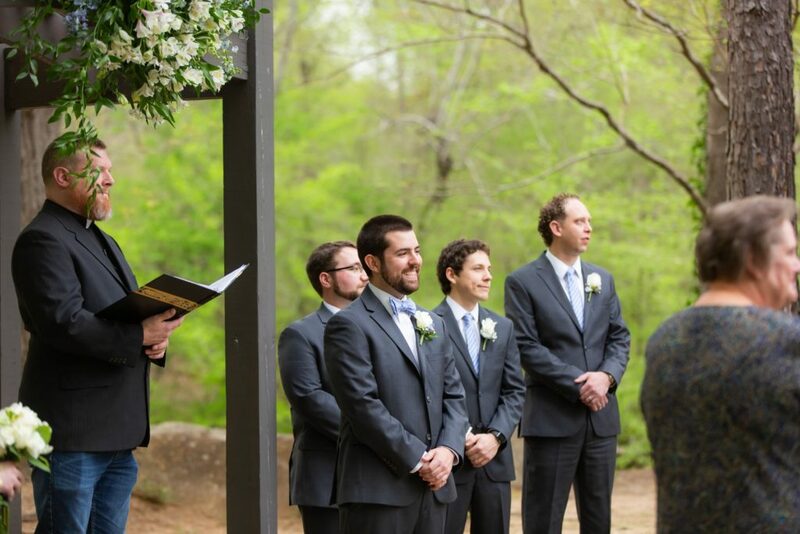 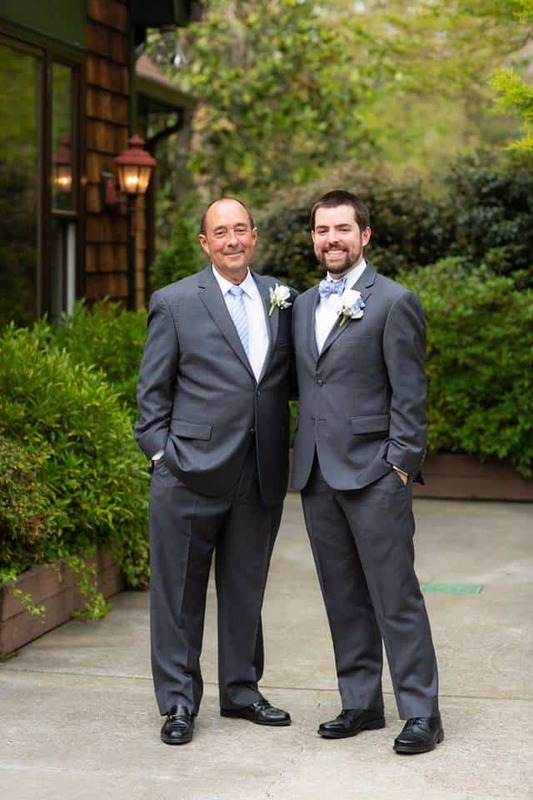 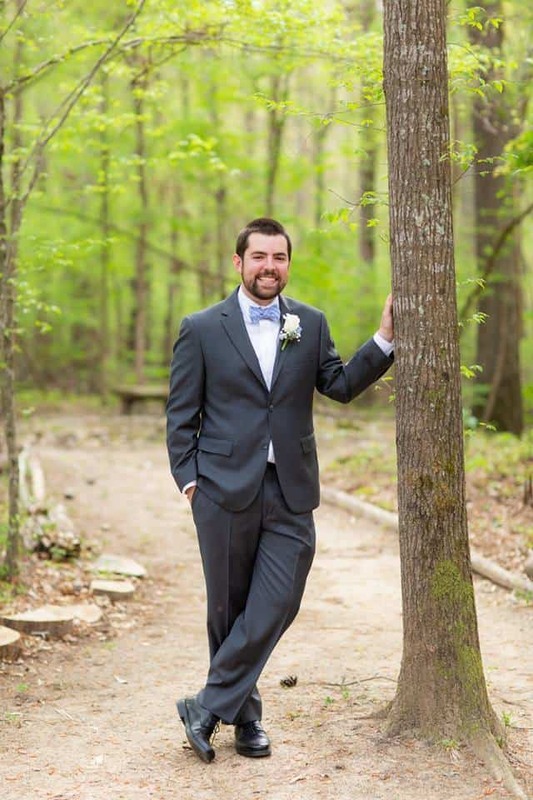 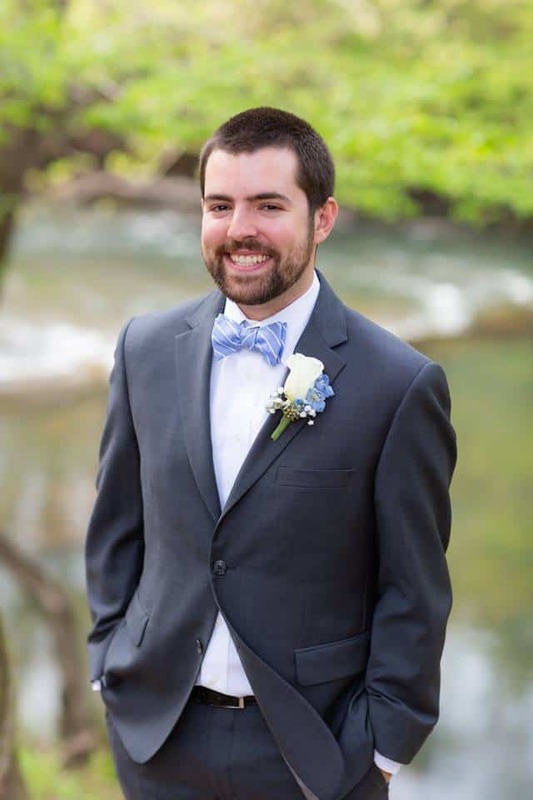 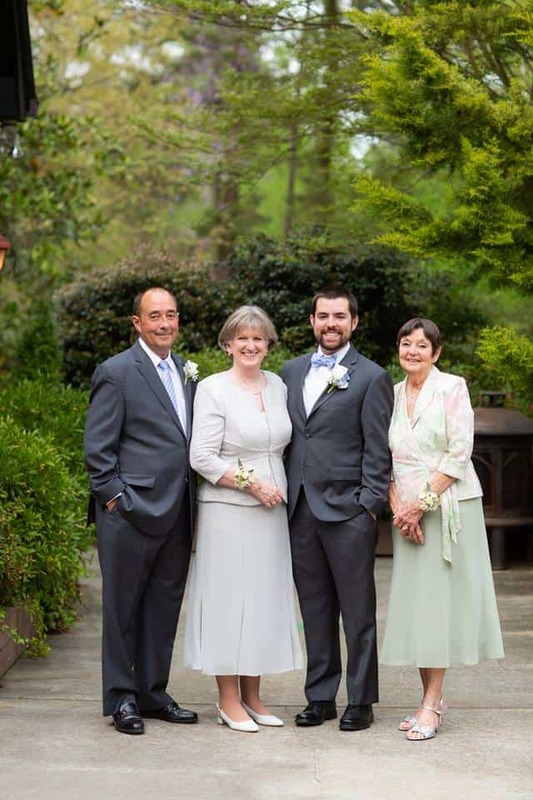 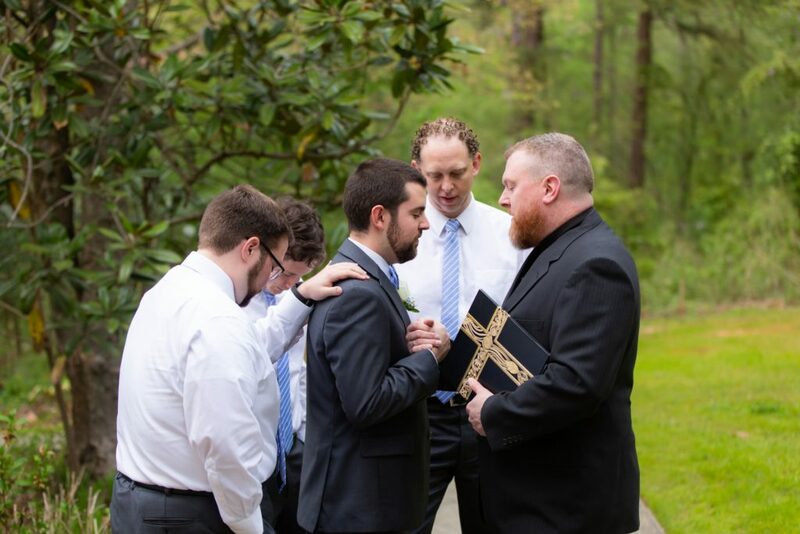 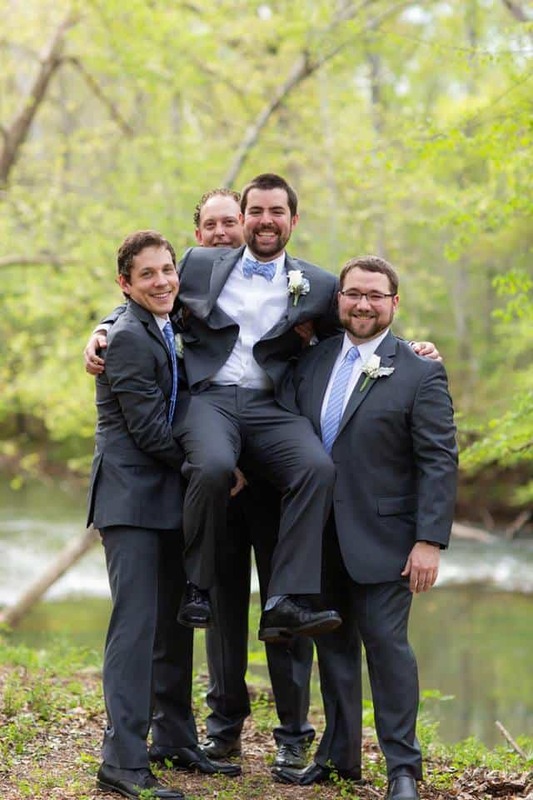 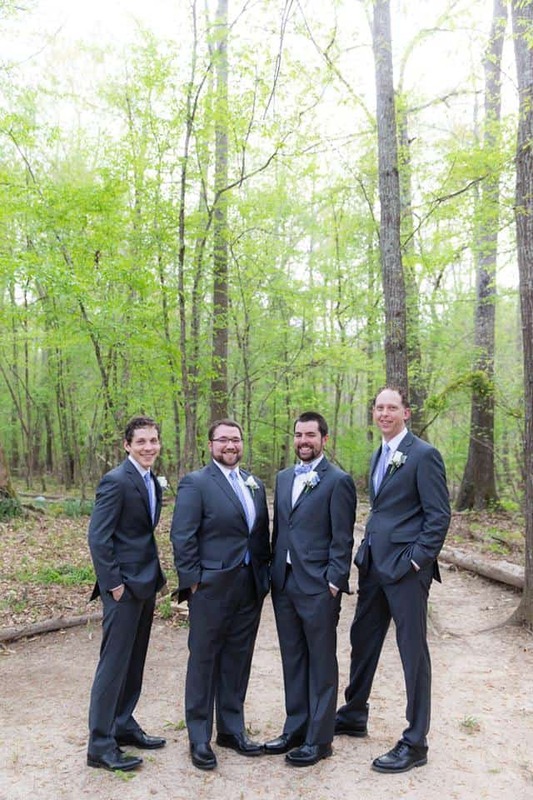 Jonathan and his groomsmen looked great in their dark gray suits that they accented with light blue ties – perfect for a Spring wedding. 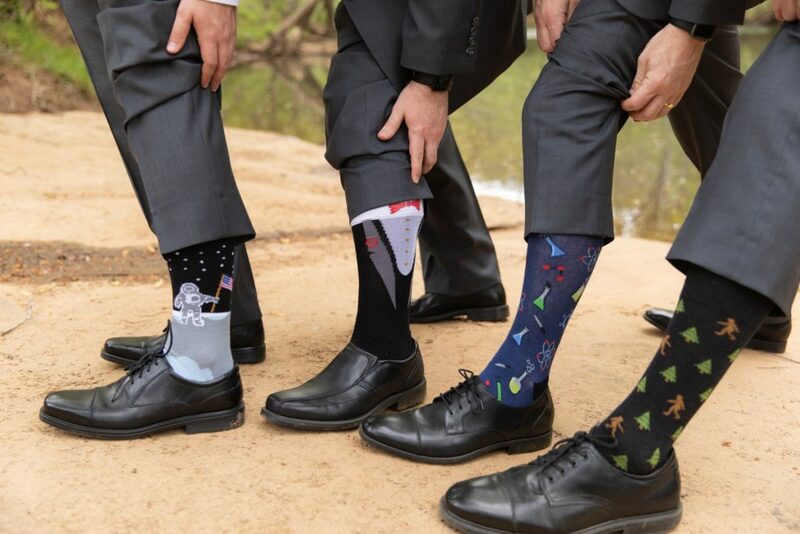 Check out those funny socks they had – always a great little secret the guys can pull off! 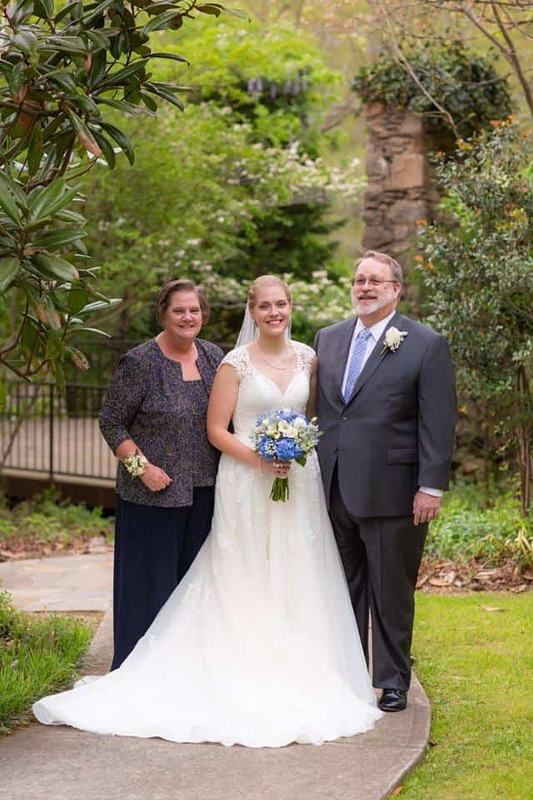 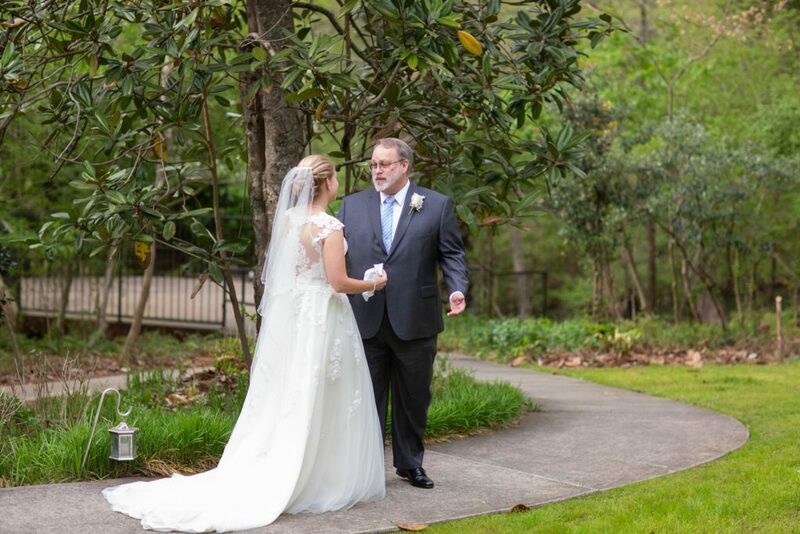 Anna chose to do a “first look” with her Dad who was certainly overwhelmed with joy at the sight of her in her gown. 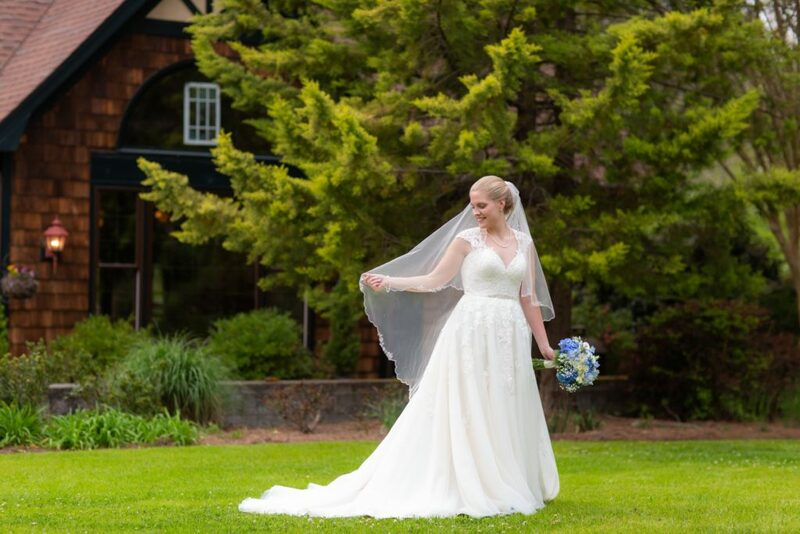 She wore a lovely fit and flare styled gown that had some amazing lace details. 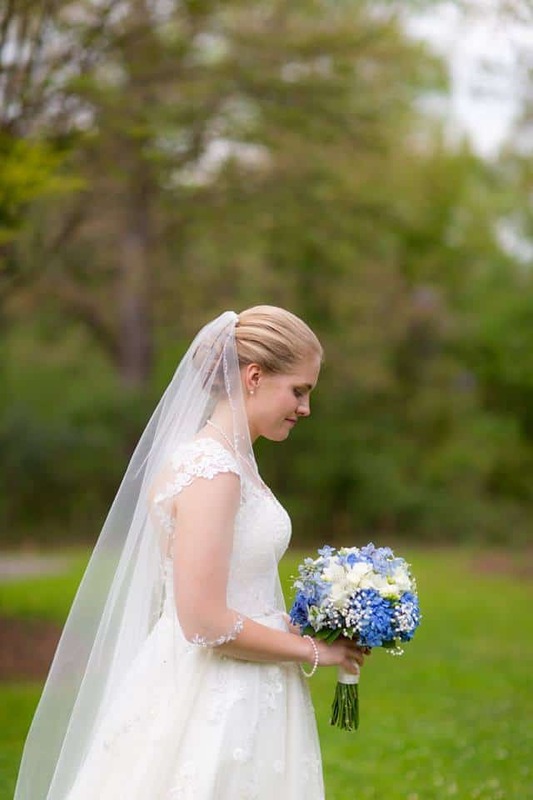 The bodice and skirt were adorned with fine lace details throughout and also had lace cap sleeves that continued down the back of her dress to create a stunning open-backed design. 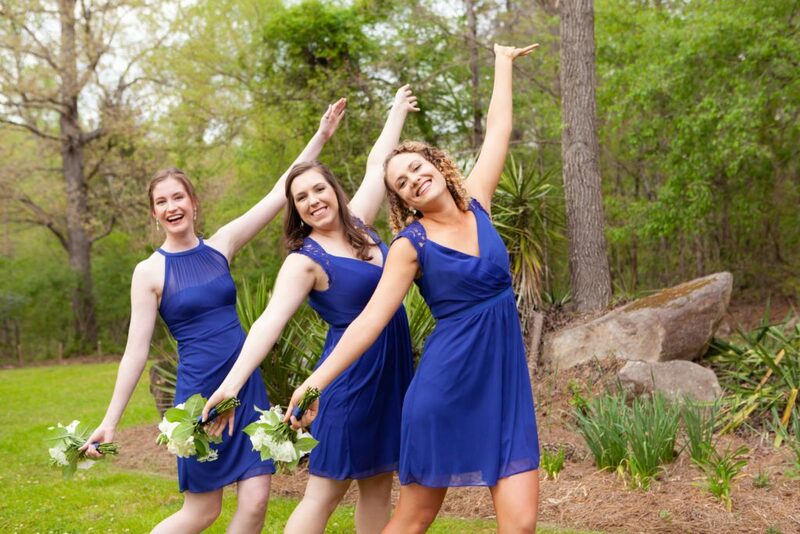 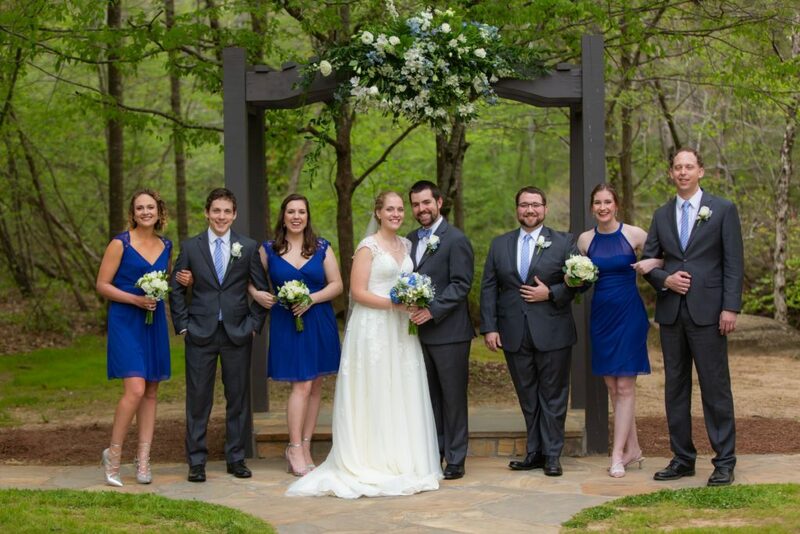 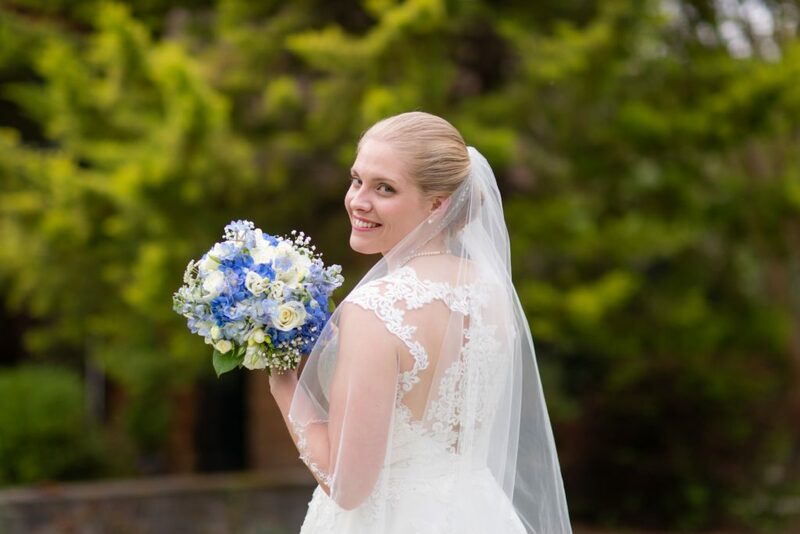 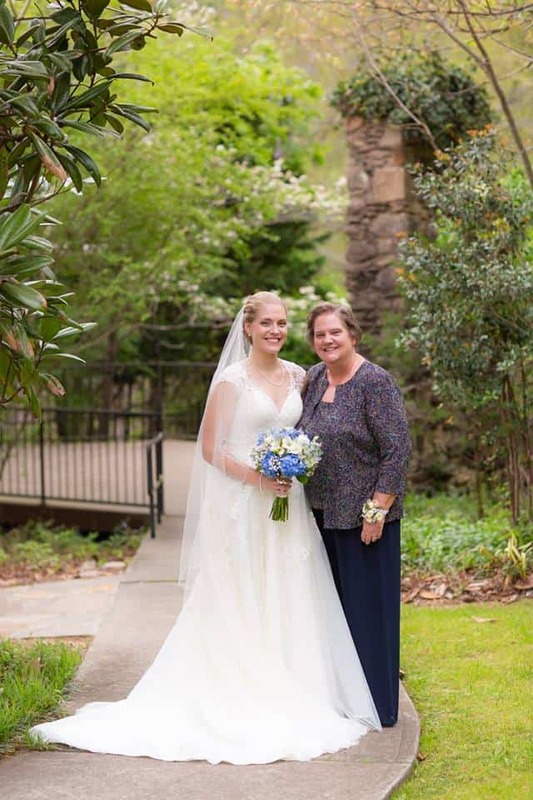 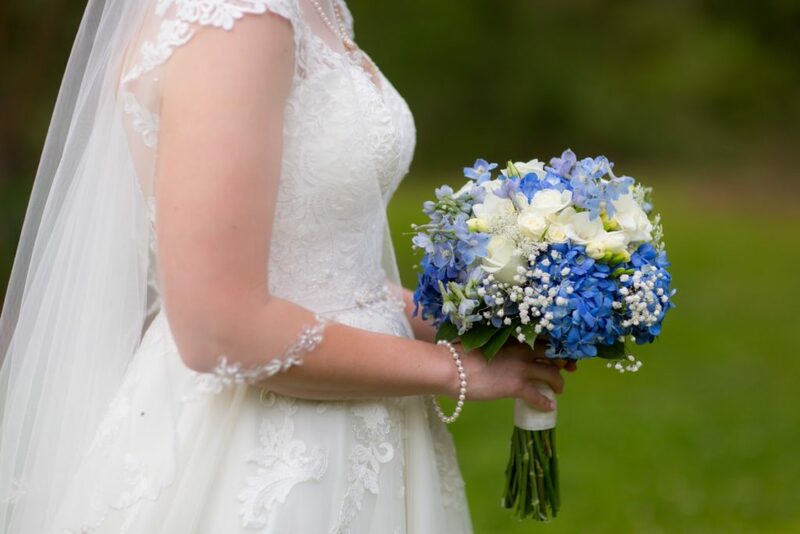 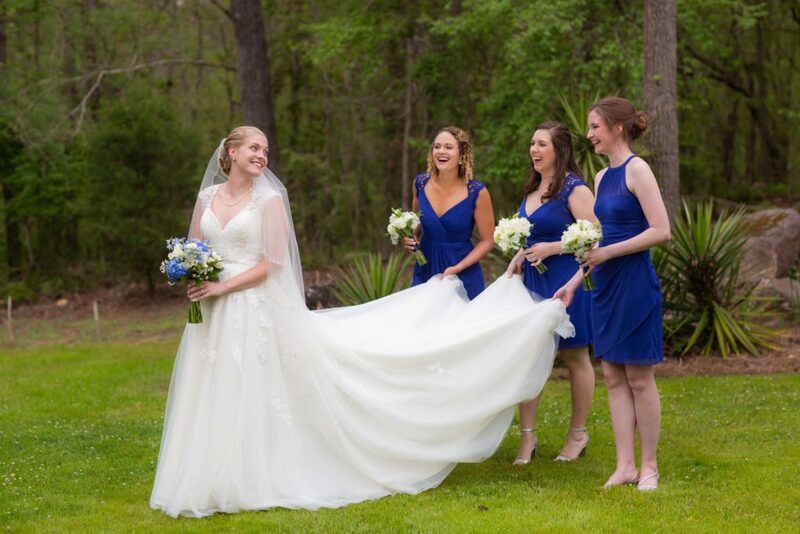 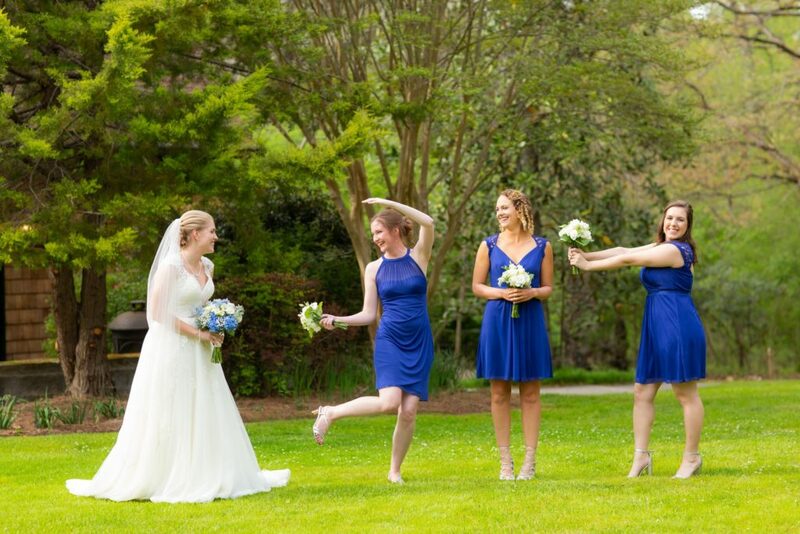 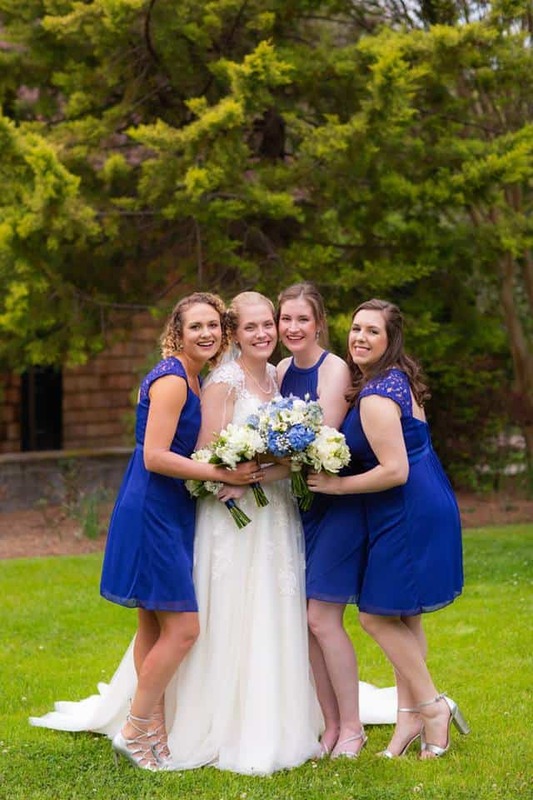 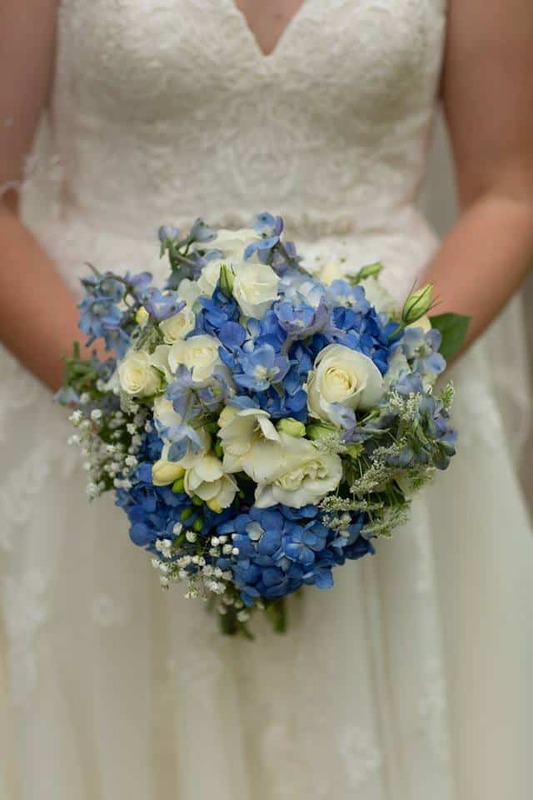 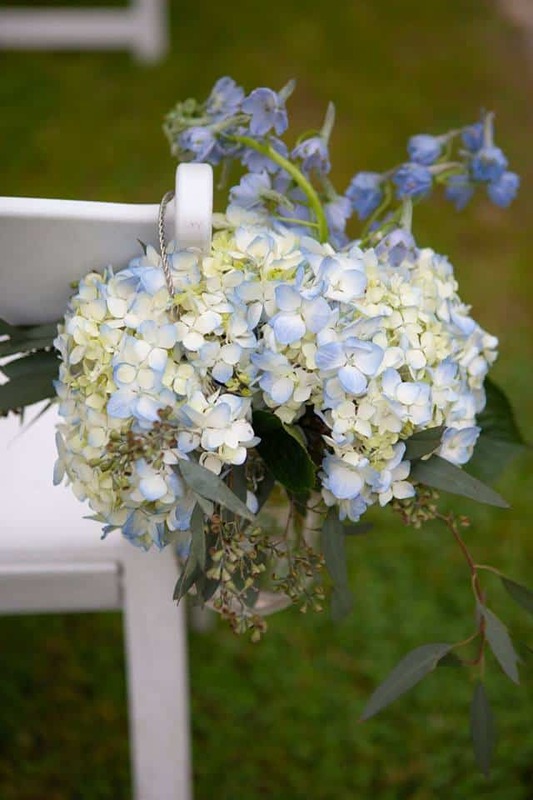 Anna’s bridesmaids wore different styles of knee-length gowns in a gorgeous royal blue which looked really nice with their white and light blue floral bouquets. 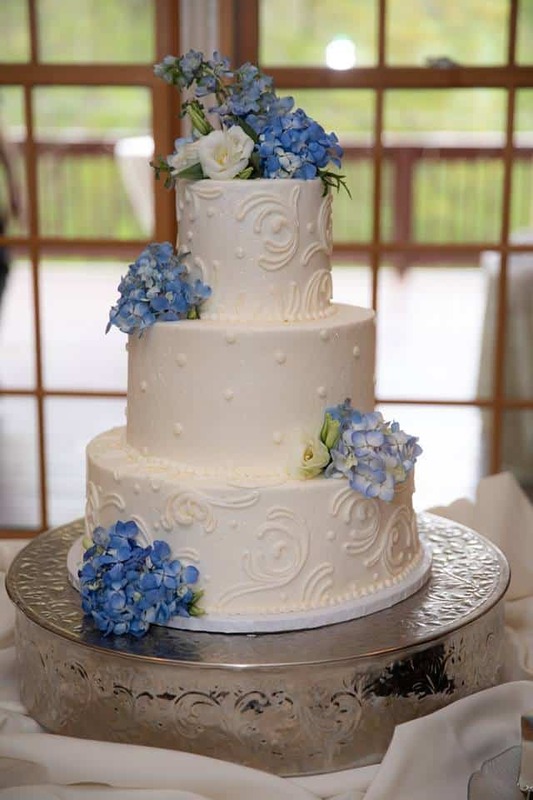 The wedding cake at the reception was gorgeous with the same beautiful blue and white flowers and stunning patterned details worked into the icing. 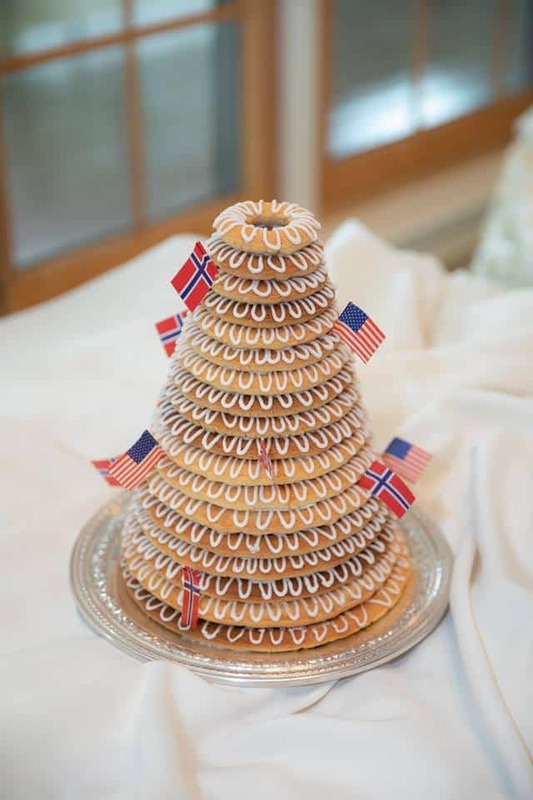 Proudly displayed next to it was a traditional Norwegian kransekake – an almond-flavored ring cake. 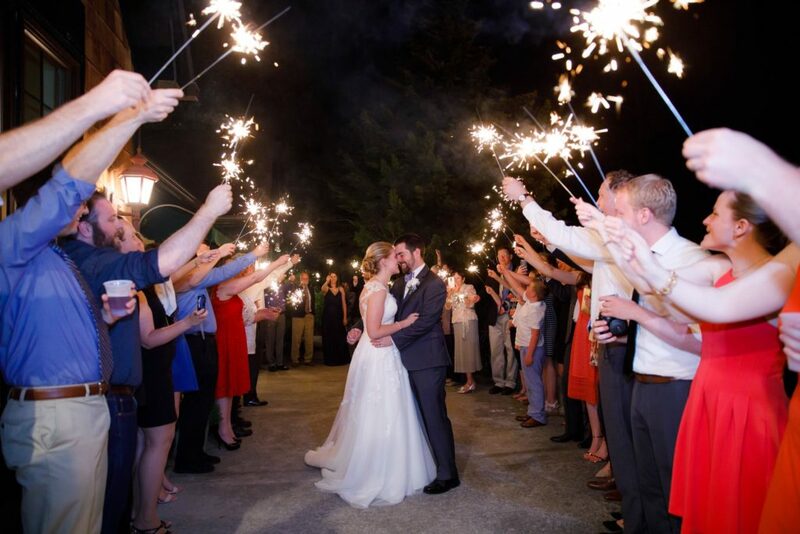 After the festivities they said their goodbyes and took their leave through a stunning sparkler exit. 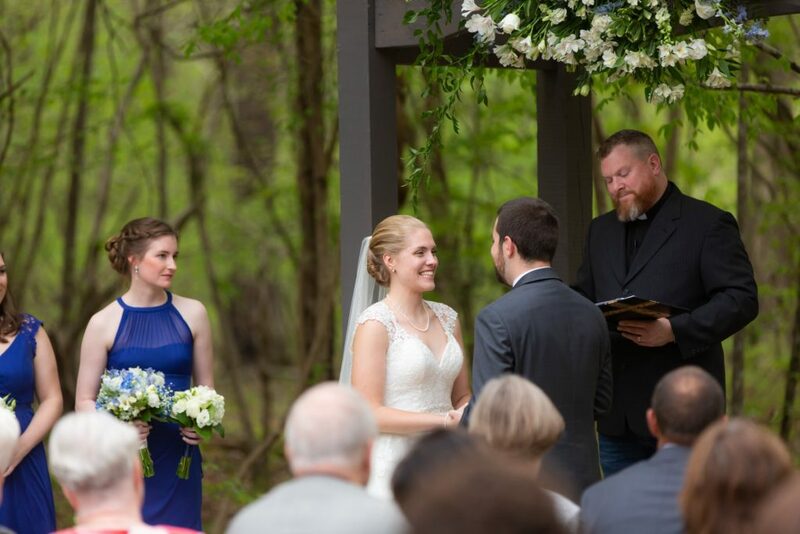 © 2019 Vecoma at the Yellow River. 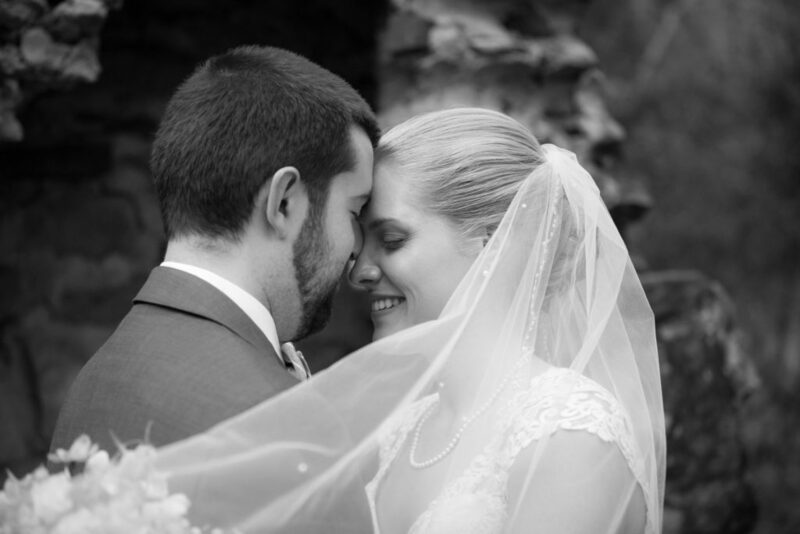 All Rights Reserved | Website By: Elegant Image Studios, Inc.